Stairlifts: Top Brand Stairlifts in Hampshire including Southampton, Portsmouth, Basingstoke, Gosport & Isle of Wight at keen prices and fast! Top Brand Stairlifts in Hampshire including Southampton, Portsmouth, Basingstoke, Gosport & Isle of Wight at keen prices and fast! Castle Comfort Stairlifts offers top brand stairlifts, keen prices and fast installs for all those seeking stairlifts Southampton, Portsmouth and all Hampshire. 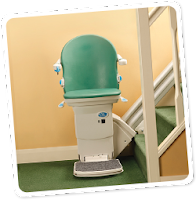 Or for Portsmouth Stairlifts you need to call 02392 395095. If you want to know which royal inventor, who famously ordered the world's first bariatric stairlift, also ordered the construction of several castles in the county of Hampshire then read on. Hampshire is one of the South Coast counties and is one of the most populated English counties, being commutable to London, and has close to 2 million residents. This number rises even more when you add the tourist visitors it attracts. It has beautiful coastal resorts including Lee-on-Solent and Lymington known for having 2 sailing marinas. It also appeals with its scenic South Downs and of course the New Forest. Dorset is its neighbour to the west, another county where we install our stairlifts. Southampton is the biggest city in Hampshire and according to Wikipedia "In 2005 the Government Statistics stated that Southampton was the third most densely populated city in the country after London and Portsmouth respectively [and] Hampshire County Council expects the city's population to grow by around a further two per cent between 2006 and 2013...The highest increases are expected among the elderly." The city has a strong maritime history. It was from here that the Pilgrim Fathers sailed to America. It was also the port from which the Titanic sailed and for nearly 40 years the greatest transatlantic cruise liner the QE2 embarked from here. It's also the nearest city to the New Forest, where Sotonians can get fresh air, exercise and some peace and quiet. (023) 8124 3046 to enquire about stairlift prices and the best stairlift for their needs. For Portsmouth Stairlifts you need to call 02392 395095. There's no reasonable reason for a family home to be sold with its priceless memories and comfortable, familiar feel. Bungalows in Southampton aren't an easy option as selling, buying and moving home is one of the most stressful life events for anyone. 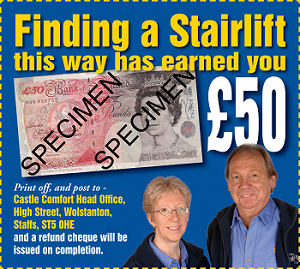 Why not be uplifted by the easier, quicker and cheaper option of a stairlift? It's only right they keep their hard fought independence, isn't it? Portsmouth is the second biggest city in Hampshire and is known as Pompey. This nickname is believed to come from Pom.P which is what sailors coming into Portsmouth Harbour would write in their navigation logs - an abbreviation of Portsmouth Point. The headquarters of the Royal Marine Commando's is to be found here and a major dock for the Navy too. It is Britains only island city as most of Portsmouth is actually on Portsea Island and although it looks like it is on a peninsula it's an islan d joined to the mainland over bridges. Southsea is the seaside resort of Portsmouth where you will find the usual funfair rides and amusements and is also where you can find the ferry to the Isle of Wight and in the summer you can get there by hovercraft as it runs every half an hour. The Southsea-Ryde hovercraft is now the worlds longest running hovercraft company and now is Britain's only passenger hovercraft. Remember the question at the top of the page? The royal credited with the invention of the bariatric stairlift. That is Henry VIII who had a wooden contraption ordered to be constructed to help his obese body up stairs. 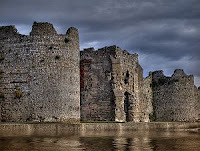 He also ordered several castles to be built in Hampshire mainly on the coast as defensive forts against invaders - these were Southsea Castle, Calshot Castle and Hurst Castle. Here below, as with all our regional stairlift blogs, we have some of the notable residents (past and present) of Hampshire. It’s always remarkable, how many people do not know just who comes from where they live. Fareham – Robert Goddard, author. Eastleigh – Scott Mills, Radio 1 DJ. Colin Firth, actor. Havant – Benny Hill, actor and comedian. 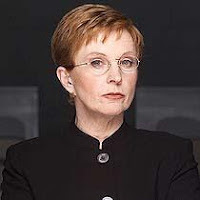 Farnborough – Anne Robinson, TV personality. Paul Weller, singer-songwriter. Andover – Lucinda Green, champion equestrian and journalist. Reg Presley, member of the bad The Troggs. Fleet – Raquel Cassidy, actress. John Feaver, tennis player. Waterlooville – Beatrice Shilling, aeronautical engineer. Isle of Wight – Bear Grylls, survival expert. 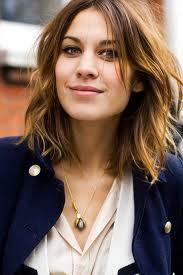 Basingstoke – Alexa Chung, TV presenter. Jane Austen, author.John Arlott, English writer and broadcaster. Aldershot – Alex Reid, cage fighter and husband of glamour model Katie Price. Martin Freeman, actor appeared in films such as Ali G Indahouse and ‘Love Actually’. Southampton – Charlie Dimmock, TV garderner. Craig David, musician. Waltham – Amanda Holden, Eastenders actress and judge on Britain’s Got Talent. Andover – Charles Clarke, botanist. Portsmouth – Charles Dickens, novelist. George Balfour, Scottish electrical engineer and founder of construction company Balfour Beatty. 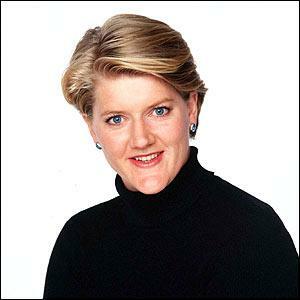 Kingsclere – Clare Balding, TV sports presenter and journalist. Burseldon – Claude Grahame-White, aviator and engineer. Tongham – Cyril Garbett, English prelate. Gosport – Edward Hargraves, English colonialist. Winchester – Baroness Mary Warnock, philosopher and educationist. Henry III, former King of England. Bentworth – George Wither, famous poet. Stoneham – Henry Liddon, English theologian. Steventon – Jane Austen, English novelist Southsea – Peter Sellers, English actor and comedian. Lancelot Hogben, author of a number of popular books such as ‘Mathematics for the Millions’. Dippenhall – John Gurdon, English geneticist. Lyndhurst – Keith Harris, ventriloquist famous for his act with Orville the Duck. Alresford – Mary Mitford, English novelist and dramatist. Ringwood – Max Nicholson, conservationist. 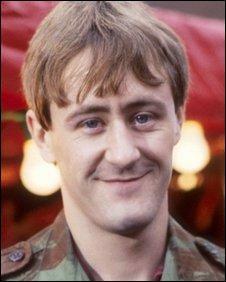 Emsworth – Nicholas Lyndhurst, English actor well known for his role in Only Fools and Horses as Rodney Trotter. Bransgore – Pam Gems, English dramatist. Ropely – Samuel Gardiner, famous historian. Hayling Island – Simon Gray, dramatist, director and novelist famous for television plays The Never Slept and After Pilkington Bishopstoke – William Gilbert, English novelist. Odiham – William Lilye, English classical grammarian and scholar. Romsey – William Petty, English economist. Lymington – Mark Knopfler, British guitarist, singer, songwriter, record producer and film score composer. 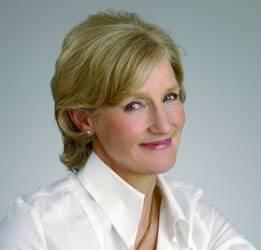 Hollybourne – Alan Titchmarsh, TV gardener. Petersfield – Tim Rodber, England rugby player. Daniel Day Lewis, actor who went to school in Petersfield. Grayshot - Colin Firth, actor. HANTS? 'cause it used to be called Hantonia. .. and why you got nothing on about Cricket? You can't write about Hamphsire (or Hants) without something about cricket - it's illegal.